ir Chief Marshal Arup Raha said multiple agencies were involved in procurement process and no one can pin the blame on one particular organisation or service, trying to shield the force against the backdrop of corruption allegations against former IAF chief S. P. Tyagi in the VVIP chopper scam. Tyagi, who was given bail recently, has always maintained that all decisions were taken collectively and it is wrong to solely blame him. 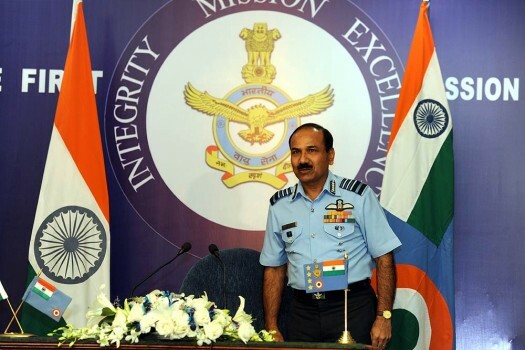 IAF Chief Raha, who was asked about corruption charges plaguing defence deals, also lamented that despite probes into the alleged scams over the decades, not much could be achieved by the investigating agencies to bring to justice people involved in corrupt practices. "If these corruption charges are proved, it is bad for the armed forces, or whoever is involved. It is not just the armed forces who are involved in the procurement. "There are so many agencies who are involved. Therefore you cannot pin the blame on one particular organisation or service," Raha said speaking to reporters just days before he demits office on December 31. Tyagi has said that senior officials of the Defence Ministry, the Special Protection Group as well the Prime Minister's Office besides others were part of the decision making process along with him. Raha argued that the procurement process in the IAF is more stringent than any other service. He said till the time a person is convicted, "I think we should give him due" but if a person is found guilty, there will be "no sympathy" for him. "A former air force chief is like a family member, extended family member. If anybody in my family goes through a rough patch, I think we should stand by that person. And if the charges are proved, then we have no sympathy for him. Whatever charges are proved, whatever convictions are there, we will abide by it," he said. Raha said that every decade has its own share of defence scandals. "Despite investigations, not much could be achieved by the investigating agencies to pin down people who are involved in corrupt practices," he said. The court which had given bail to Tyagi had ticked off the CBI for not presenting proper evidence to deny him bail. Talking about the procurement process in the IAF, the air chief said they have very clear cut procedures to be followed. "We are very well trained professionals who deal with acquisition or procurements. We have test pilots, test engineers, it is not not so for other services, I can tell you that," he said. Raha stressed that air force professionals are dealing with the subject very diligently and professionally. "And wherever we have to exercise our specialist skills to give an opinion, we do it very diligently. We have a lot of mechanisms to review each and every procurement that we do. There are many stages of oversight," he said. He said that the IAF currently is reinforcing whatever is done is the past. "We are continuing with the process. We are having better oversight," Raha said.